If you think it’s okay and safe to leave your dog for a few minutes on a hot day in your car while you run off to buy something, think again. Never leave your dog in a hot car. A minute too long can be too late. On an 85-degree Fahrenheit day, all it takes is 8 minutes for the car’s interior to shoot up to 104 degrees. In just 30 minutes, the temperature can be as high as 120 degrees. 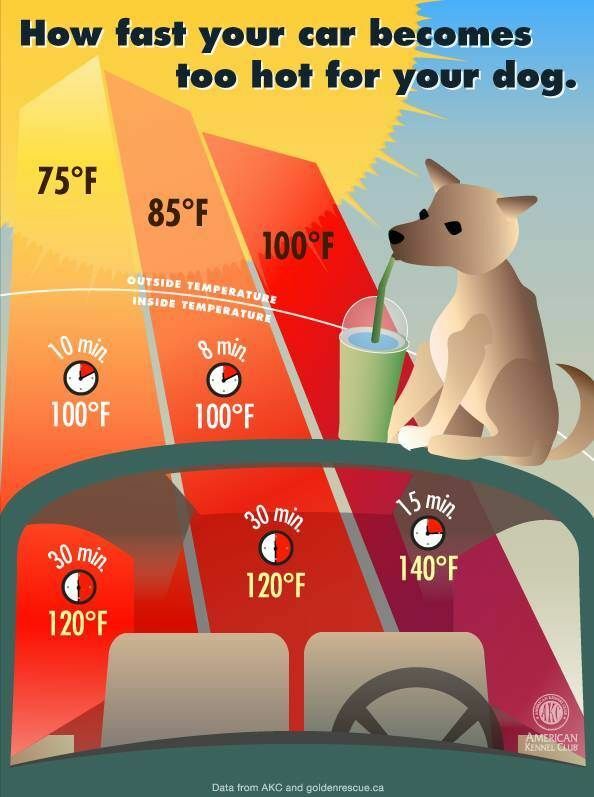 In just minutes, your dog can die from heatstroke. It’s useless to leave windows partially open. This doesn’t help cooling things down inside your parked car. And to make things worse, dogs have a higher body temperature than humans. Dogs only have sweat glands on their nose and the pads of their feet while we have sweat glands all over the body so they don’t cool down as efficiently as we do. Dogs pant to try and normalize their body temperature. But under extreme conditions, like when they’re left in a hot car, this isn’t enough. You should also be on the lookout for animals left in someone else’s hot car. If you do see one, call the attention of the establishment. If it happens that the pet owner can’t be located, call animal control or the police. In some states, it is legal for someone to break the car’s window to save a dog’s (or pet’s) life. In the UK, the Good Samaritan clause may get you off a criminal damage suit if you broke a car window to save a pet’s life. But in many places, you can face criminal charges. So please, be a responsible dog owner. If you’re going to grab something in the store, leave your dog at home, where it’s safe and cool. Don’t gamble with your dog’s life and don’t subject them to avoidable suffering. Share this information on Facebook and Twitter. You might just save a dog’s life.